High quality. In the electronic age, where diffusion of unrefereed papers is instantaneous and almost costless, the chief function of an academic journal is to provide a robust mechanism of quality control and peer recognition. 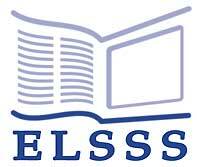 ELSSS will be publishing only high-quality journals. Equity. Given the ancillary function of publishers in academic journal publishing, the lion's share of the rewards ought to accrue to the individuals who produce journals and whose reputation establishes the value and quality of the journals themselves, namely the authors, referees, and editors. ELSSS will produce and distribute journals efficiently on a non-profit-making basis, distributing any net surplus compatible with wide diffusion to authors, referees, and editors. libraries in developing and transforming economies, which have been priced out of journal acquisition altogether (note that some commercial publishers, unlike most journals published by learned societies, etc., do not offer discounted subscriptions to libraries in developing and transforming economies). As a result, the diffusion of knowledge has been substantially hampered. In contrast, ELSSS not only will enable all researchers (students and faculty) located in high-income countries full access to its journals by charging break-even subscriptions, but also will allow full access free of charge to all libraries and research centres located in the rest of the world. Innovation. In spite of the substantial profits earned by some commercial publishers, so far journal publishing has not made full use of the extraordinary possibilities offered by the Web. In addition to providing the same limited electronic services currently being offered (often at an additional charge) by commercial publishers - essentially "print on screen", and rudimentary search and archiving - ELSSS will strive to offer true state-of-the-art electronic services, including interactivity, full searchability, citation tracking, etc. Thanks to financial support from Royal Economic Society, the University of St Andrews, the Consortium of University and Research Libraries, and Scottish Enterprise Fife, ELSSS has designed, developed, and tested its own software for the electronic submission, refereeing and editing of papers and for the production and dissemination of truly innovative online (and print!) journals. For details, see the EPT page. Privacy and transparency. ELSSS, being an organisation run exclusively for the benefit of the academic community (and indirectly for the general public), is committed to upholding the strictest standards of respect of individual privacy and of institutional transparency. Data on and/or from individuals will be treated always as strictly confidential: under no circumstances will individual data be released to any third party, unless the individuals concerned explicitly and directly agree to any such release. On the other hand, ELSSS will grant the widest publicity and access to its own institutional data and structures, including data on circulation, pricing, remuneration, expenses, staffing, etc. Subscribers and any other party that express an interest not only will be kept fully informed of developments in the technological and publishing fields that may affect ELSSS activities, but also will be actively solicited for their opinions and feedback so to ensure that ELSSS journals meet the evolving needs of the academic community. Defense of authorship. ELSSS aims at strengthening the proprietary rights of authorship, by giving authors full copyright to all their material published in ELSSS journals and by ensuring the fair use of electronic resources.